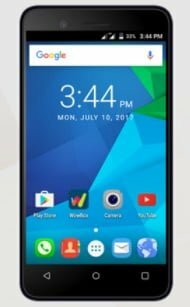 Symphony G20 is an entry-level lowest budget Android smartphone in Bangladesh. If you give android smartphone for your girlfriend, friend, elder brother then you can be bought this device. Under the hood, this device has 1.3 GHz Dual Core CPU, 512 MB RAM, Mali 400 MP1 GPU, 4.0 inches display. This device is not too much good to take pictures. Symphony G20 has 2 MP Camera and VGA front camera. However, this device price is only 2,990/- BDT with Grameenphone special offer.